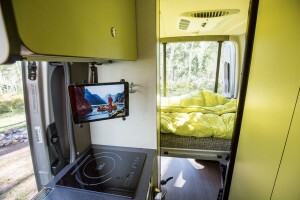 In the motorized RV space, the Class B market continues to grow, in large part due to the success of the Era and this exclusive rear twin bed setup and the flexible sleeping capacity of the rear and front sleeping setups. 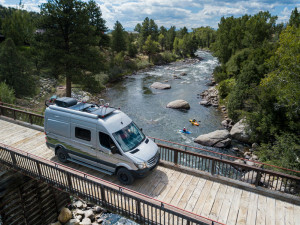 Its combination of fuel efficiency, maneuverability, and high end features has introduced a whole new set of enthusiasts to the van style RV. 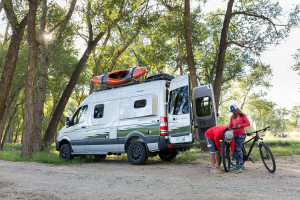 With its fuel efficient and dependable Mercedes-Benz diesel engine, driving your Era more closely assimilated driving your own personal vehicle. 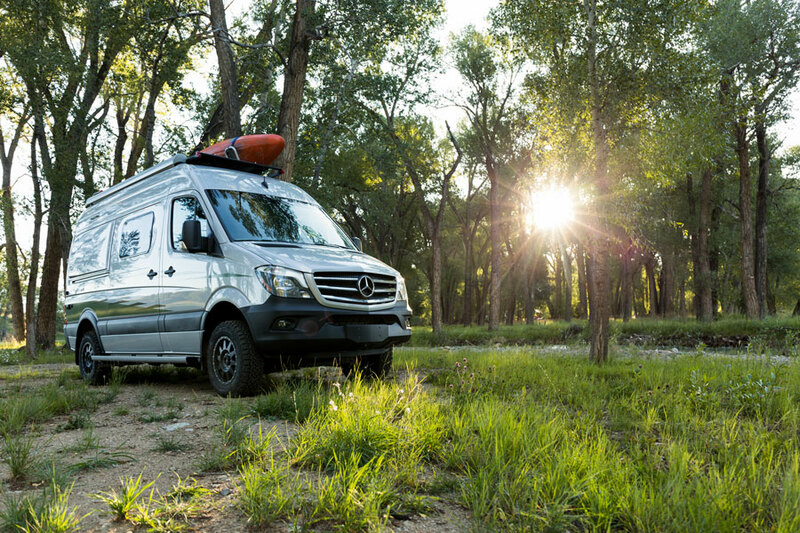 And now, this Era is available in a limited edition of a fully contained off the grid RV with Mercedes-Benz on-demand 4×4! 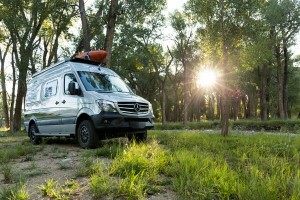 Arrive at your destination safely and on time with the help of the new Mercedes Benz safety enhancement package. 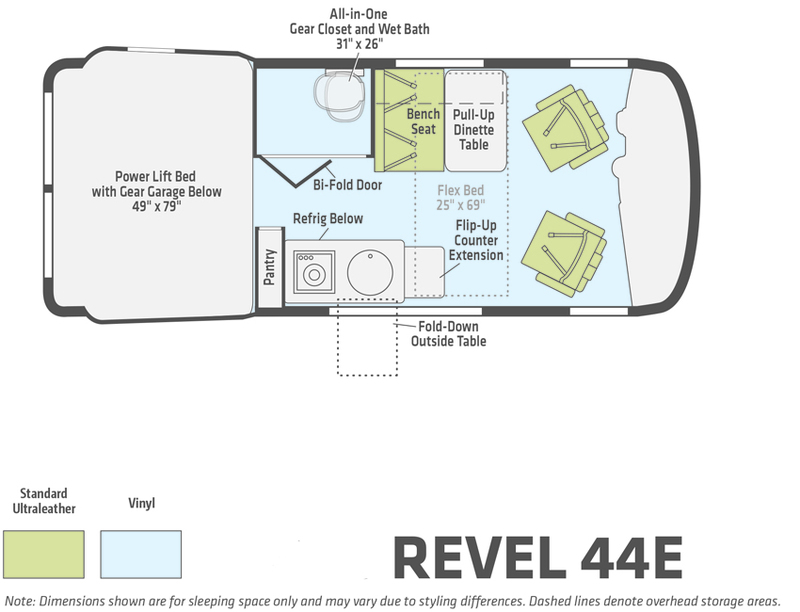 The Era offers a full featured galley and swivel cab seats that increase your functional living space while parked. 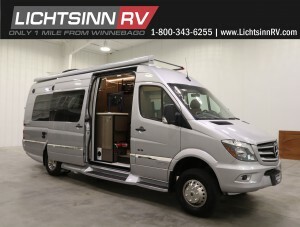 Inside, you’ll find dimmable LED ceiling lights, MCD blackout roller shades, Corian countertops, and a rear screen wall. An awning with LED lighting will keep the outdoor fun going well into the night. 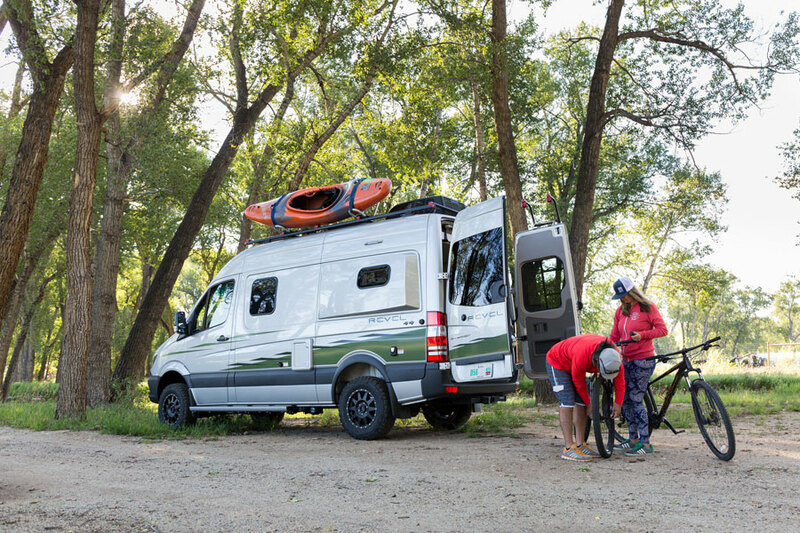 For versatility and style with Winnebago’s legendary construction standards, choose the Era. 5. On demand 4 wheel drive with low range, to selectively stop individual wheels if wheel spin is detected. The system can be safely driven on dry pavement without the risk of damaging differential locks. 4. New Firefly multiplex wiring allows single touch controls to lighting, monitoring systems, powered awning controls, energy management and so much more! a. The Era now features the new, 97% efficient, Truma Combi heating and hot water system. b. Provides quick hot water recovery with LP and electrical heating. c. LED digital control panel allows time adjustable settings for water and air temperature- maximizing comfort and reducing fuel usage. 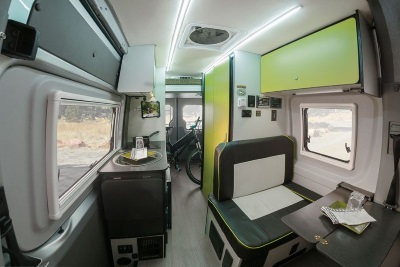 d. Quick multi stage heating system with four high performance ducts keeps the coach at a consistent temperature using LP, electricity or both for maximum performance. e. Insulated and tuned heating and air delivery system is extremely quiet, insuring a restful nights sleep. 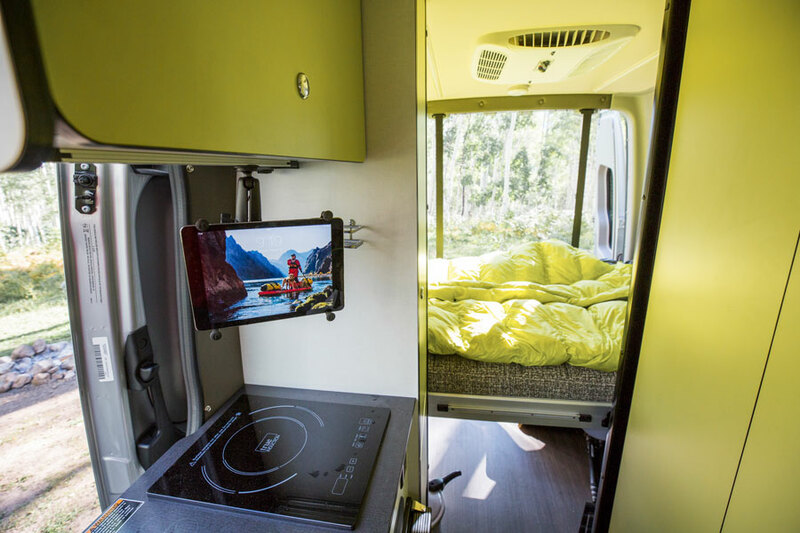 f. Electric heating element allows users to take the chill off on a brisk morning using the camp ground’s electricity. g. High efficiency 13,500 BTU air conditioning features two stage operation that cools quickly and maintains the cool with lower fan noise. 9. New fiberglass bath surround with a single control shower and faster adjustments to temp to conserve water. Click Here to see a complete listing of Winnebago Era’s for sale. 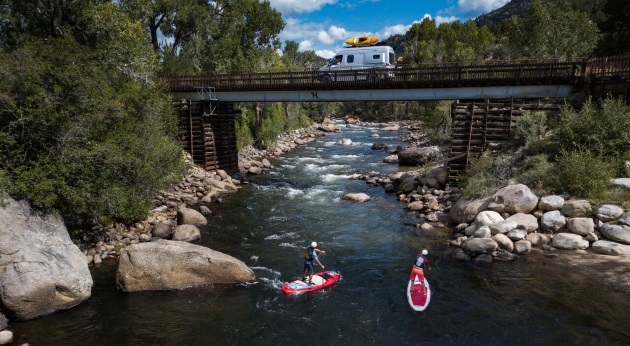 At Lichtsinn RV our website has a full video walk-around on each RV, making it easy for you to purchase. 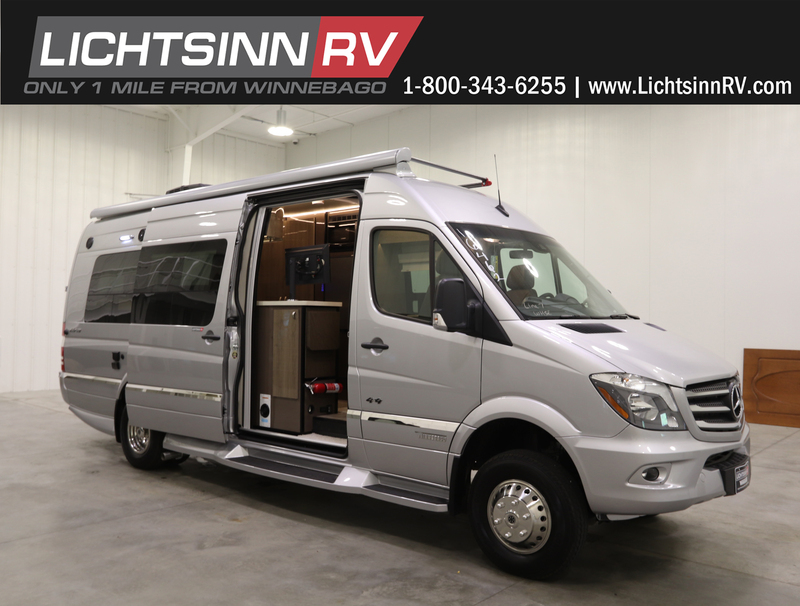 On our website you can go for a virtual test drive, purchase your RV over the phone or the internet, and then take delivery at our dealership, which is only 1 Mile from Winnebago, Itasca, and Winnebago Touring Coach here in Forest City, Iowa! 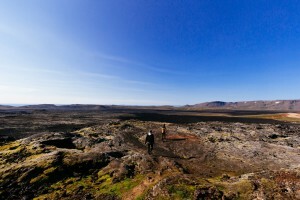 Most of the time, insects in the wilderness are an annoyance rather than a danger. They will buzz around your ears, cause itchy red bumps, and may even bite through your clothing. But insects like ticks and mosquitoes can also be carriers of viruses and diseases, so it’s best to avoid them and protect yourself whenever possible. Fortunately there are a few common avoidance strategies and chemical products that will greatly reduce insect problems and will often lead to bite free trips. One of the best ways to avoid bug annoyances is to avoid the bugs altogether. Fall, winter, and early spring are generally cooler times when fewer bugs will be active. You can also limit bug exposure by wearing long-sleeved clothing with a tight enough weave so insects like mosquitoes won’t be able to bite through it. Consider bringing lightweight mesh bug clothing if you’re easily bothered by bugs and you prefer not to wear bug repellant. 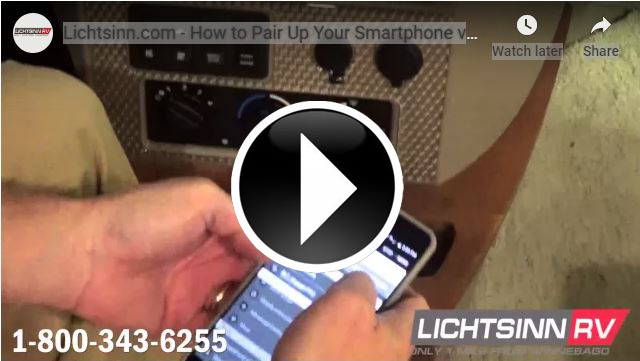 This is a cheap, light, and effective method. Avoid all perfumes and scents while you backpack. Even washing your clothing with fragrant fabric softeners and dryer sheets can attract insects. Keeping yourself clean will help too. Mosquitoes and other insects are drawn to the ammonia in your sweat and your odor. To steer clear of mosquitoes, avoid hiking at dawn and dusk, when they will be most active, and try to camp away from standing water, which they need to reproduce. 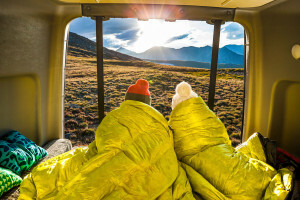 You can also camp in areas with a strong breeze to limit bug exposure and having small smoky campfires will help as well. To avoid ticks, keep away from brushy areas and tall grass. Check your body for ticks when you stop for breaks. If you find a tick on your body, use tweezers to grasp it as close to the skin as possible. Pull away from your skin with even pressure. Don’t yank or twist. After removal, wash the area thoroughly. If you develop a rash or fever, see your doctor. You should also know how allergic you are to bee stings. If you are allergic, it’s a good idea to bring an EpiPen and know how to use it. If you’re not allergic and you get stung, pull out the stinger with your fingers as quickly as possible, use a cold compress to ease the pain, and take antihistamines or pain killers as necessary. Along with avoiding bugs, you can also use a couple of chemical treatments to greatly increase bug protection to almost to 100% effectiveness. DEET and Permethrin are generally considered the two most effective chemical treatments in bug protection. DEET is a chemical that goes on exposed skin and Permethrin is a treatment that goes on your clothing. Both are very effective at protecting against a wide range of bugs. DEET is a strong treatment that should only be used on exposed skin in small doses. Products with higher concentrations of DEET will lasts longer than those with small concentrations. But recent studies have shown that using a formula with 30-35% is about as effective as it gets. After that, a higher percentage of DEET won’t produce any additional protection. DEET is effective against mosquitoes, ticks, no-see-ums, biting flies, spiders, bees, and other insects. DEET is very effective, but it’s also a very harsh chemical, so many people try to use it as little as possible. DEET can damage plastics, leather, and synthetic fabrics. Keep DEET away from your mouth, eyes, ears, and nose. Don’t spray it on any open wounds or rashes. Be careful not to inhale it or spray it directly on your face and wash your hands thoroughly before eating food. It’s also a good idea to avoid multi-use products like DEET a sunscreen mix. Instead, put on your sunscreen, wait for it to absorb, and then apply DEET as necessary. Permethrin is a treatment that should be used on your clothing and some hiking clothing even comes pre-treated. It quickly forms a strong bond with your clothing when it dries and isn’t absorbed easily by the skin. A Permethrin spray treatment can last up to six weeks and will even last through multiple washes. Permethrin repels and kills ticks, chiggars, mites, and mosquitoes. Using a combination of Permethrin and DEET is about as close as you can get to total insect protection. Poisonous plants are another common annoyance that can be easily avoided if you know how to spot them in the backcountry. Make sure to know the poisonous plants living in the area that you plan to visit and know how to identify them before your trip. In North America, poison ivy, poison oak and poison sumac are the plants that you really need to watch out for. In Europe you may need to avoid stinging nettles and giant hogweed. It’s generally a good idea not to touch plants that you can’t identify, especially in winter when many plants don’t have identifying leaves but can still cause reactions. Around 75% of North Americans are allergic to poison ivy, oak, and sumac. The severity of reactions can vary, including itchy redness, bumps, and blisters. To avoid having to deal with a painful reaction, know how to identify these three plants and don’t touch them. Poison Ivy and Poison Oak can easily be spotted because of their leave formations. They always grow their leaves in groups of three. Regardless of if the plant is a shrub or a vine, poison ivy and oak will have two leaves attached to a stalk opposite each other and one leave jutting out on a short stem. That’s where the saying “leaves of three, let it be” comes from. And it’s a very good rule to remember. The leaves of Poison oak and ivy are generally dark green and oily looking but they can change to orange and red in autumn. Poison sumac much less common and is usually found in swampy areas in the form of a small tree or shrub. Its leaves grow in pairs of 6-12 with one single leaf at the end. The leaves are oval or oblong shape and form a fine tip at the end. They’re bright green throughout the summer and bright red in the fall. Be careful not to burn any of these plants. The smoke can irritate your skin and enter your lungs to cause very severe reactions. If you suspect that you have made contact with one of these plants, wash your skin as soon as possible. If you get to it quickly, you might be able to avoid a painful reaction. Also, if you’ve been in contact with a poisonous plant, the oil can remain on your clothing and footwear long after you encountered them. Make sure to wash all your clothes and footwear after you catch a case of poison ivy, oak, or sumac. Most plants in the outdoors are completely harmless, but it’s important to be able to identify the ones that could cause you a painful and itchy reaction for several weeks. Remember, with insects and poisonous plants, a little knowledge and preparation will go a long way. Bite and itch free trips can be your new standard.